with the community that’s made it possible. 35 years ago, we started a journey & we’re still going strong today. Big Timberworks began in Bozeman in 1983 with a desire to master the art of timber frame construction, a technique which blends traditional woodworking with timeless strength and beauty. We expanded our team and capabilities over the years to provide quality home design and beautiful metal work. And now, as we celebrate more than three great decades of doing business, Big Timberworks is proud to say we’re refocusing on our woodworking roots. Our beloved Gallatin Gateway sawmill is receiving an upgrade in the spring of 2018, allowing us to continue milling quality lumber and reclaimed wood right here in Gateway, to the highest standards. This milled wood is cut to precision for our projects of all sizes, from live-edge slab tables to multi-story timber frame homes and buildings, incorporating natural western beauty into contemporary style. In all our years of work, the common threads have always been our love of artisan woodworking and sustainable building practices. We operate with a deep appreciation for the people and businesses which have allowed us to call Gallatin Gateway home since 1983. It’s our anniversary – We hope you’ll join the party! An evening of music, food, drink, and celebration. 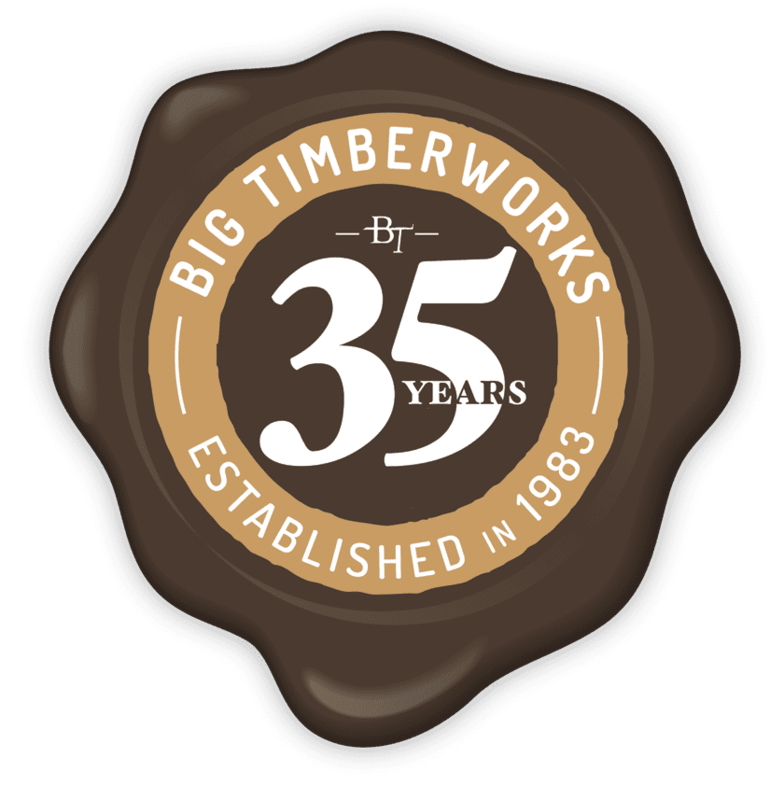 Big Timberworks wants to thank our community for 35 years of incredible support. We invite you to enjoy dinner and drinks with the foot-stomping tunes of Comstock Lode, under the high, wide, and handsome views of the Spanish Peaks. For the adventurous, try your hand at axe-throwing. from 4pm ‘til you’ve had your fill!